El Rey Will Close This MonthNo more avocados. Here Are All 88 Flavors From Manhattan’s Newest Ice-Cream WonderlandCharred chocolate banana, mocha, sesame caramel, French fry, and seven different types of vanilla. 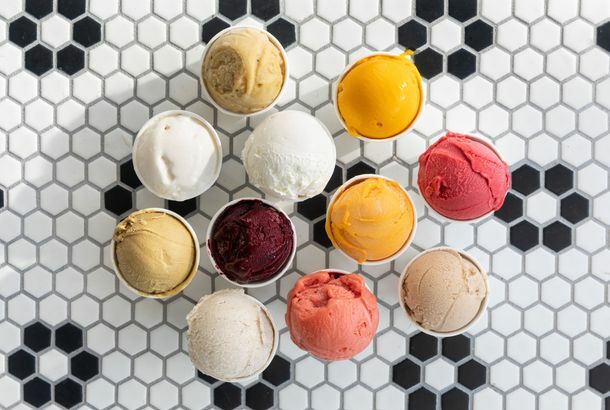 Morgenstern’s Finest Ice Cream’s New Flagship Is No Ordinary Scoop ShopThe new location is four times the size of the original and offers 88 flavors available in cone or pint form at any given time. Morgenstern’s, Home to Some of New York’s Best Ice Cream, Will ExpandThe new location has a full gas kitchen, and they’re applying for a liquor license. Introducing Avocado-Ice-Cream Toast, the Ultimate Instagram Trophy DishIt’s part of Morgenstern’s new breakfast menu. L.A. Sensation Sqirl to Pop Up at El Rey Later This MonthDreams come true. GG’s, the Goat Town Reboot, Will Serve Oven-Baked Lobster andIt’s the Goat Town reboot. First Look at Goat Town, Now Serving ‘Fork Smashed’ Potatoes andNick Morgenstern of the General Greene moves to the East Village. Morgenstern Leaves General Greene to Open Goat Town Next MonthNew Brooklyn Cuisine in the East Village? 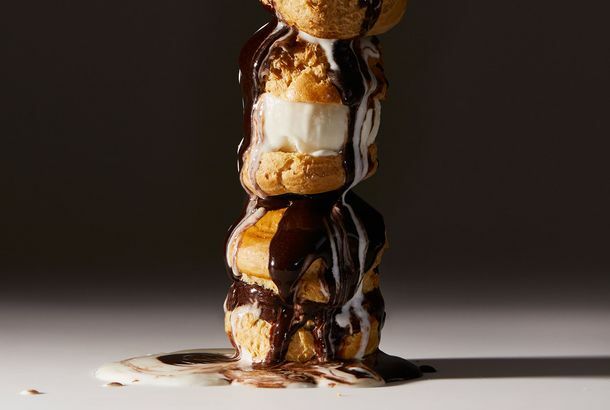 Ice-Cream Sandwiches: Mia Dona Does Cart, Melt Bakery Plans StoreA Hester Street Fair favorite is making the transition to brick and mortar. General Greene’s Nick Morgenstern Takes Butcher Bay SpacePlus more from last night’s Community Board 3 meeting. It’s Time to Patty: General Greene Players Open Sandwich and DumplingSantos Patty House will also offer Asian snacks. General Greene GrowsIn addition to brunch, it’s now serving lunch and breakfast. General Greene Brings Cult-Coffee Enforcements to Fort GreeneThe General Greene’s new breakfast menu spotlights Counter Culture coffee. Ex–Resto Chef Ryan Skeen to Take Over at Irving MillResto’s restless prodigy makes it to the big time. Find Ryan Skeen at the General GreeneThe former Resto chef reappears in Fort Greene. Nick Morgenstern Rips Gilt a New OneFormer Gilt pastry chef Nick Morgenstern has given us the inside dope on his firing last week. According to Morgenstern, chef Chris Lee and hotel management are pinning the move on each other: “They’re doing a little dance, pointing at each other, and they don’t want to give me any severance,” he tells us. Meanwhile, he’s heard that Lee’s pastry-chef buddy David Carmichael (formerly of Oceana and the Russian Tea Room) was seen checking out Morgenstern’s kitchen while the chef was out of town. But why did he get canned, anyhow?